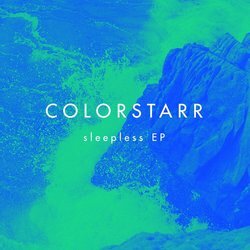 The debut 4-track EP from Colorstarr combines layer upon layer of melodically breathtaking guitars, a delicious blend of live and synth basses, tight & energetic drums and a whole stack of cool as hell synths – and that’s before we even get to the insanely great vocal hooks. With a sound comparable to that of Friendly Fires and Miike Snow, Colorstarr is definitely the band to watch, as they prepare to release the EP and hit the clubs with what will undoubtedly be an explosive live show! Colorstarr’s previous releases include ‘Do it again’, ‘Masquarade’ (reached number 1 on JJJ Unearthed) & ‘The City’. We are also collaborating with Wilson Sanjey on a recent project Style Matterz who’s latest release recently reach as high as 6 on the ARIA club charts with ‘Back to You’.